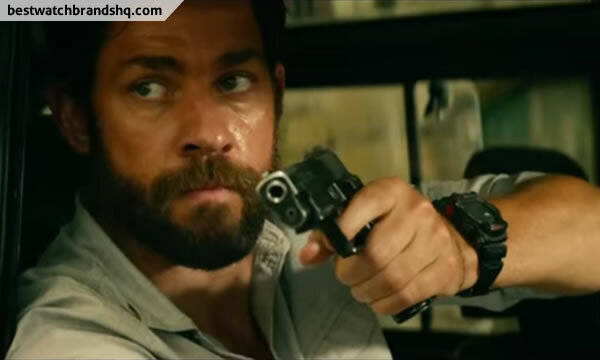 In this latest Michael Bay action film 13 Hours: The Secret Soldiers of Benghazi, John Krasinki plays as security team member Jack Da Silva. Based on true events, a group of Islamist militants attack the U.S. compound in Benghazi, Libya on the 11th anniversary of the September 11 attacks. 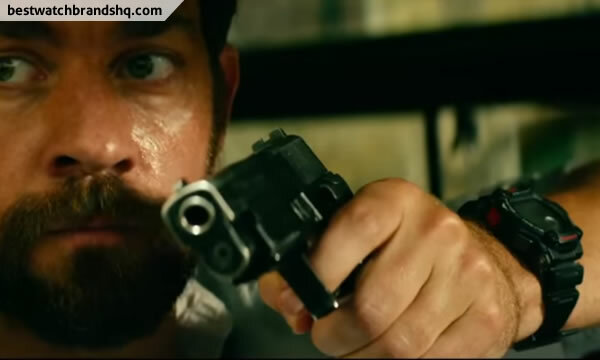 Jack who is from the Navy SEALS is part of the six-man CIA security contractors that also includes veteran Marine Corps and Army Special Forces, finds himself and his team in a desperate situation to protect the staff within the diplomatic compound. When I saw the trailer for this movie, I knew I had to make a note to check it out when it’s released in January 15th 2016. I’m a big fan of this type of heroic military themed movies and since it’s going to be produced by Michael Bay, it should be action-packed. As usual, I’ll try to see if there’s any wrist watch shots and I spotted a G-Shock being worn during an intense moment. No surprises here and a very fitting watch indeed. The watch being worn seems to be the Casio G-Shock G7900-1. The big side red button is the big clue. This rugged looking watch has large buttons for easier operation if you have big fingers or if you’re wearing gloves. 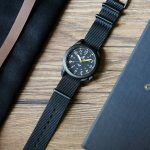 This large 52.4mm watch comes with new four point design protection engineered for rough and rugged activities. 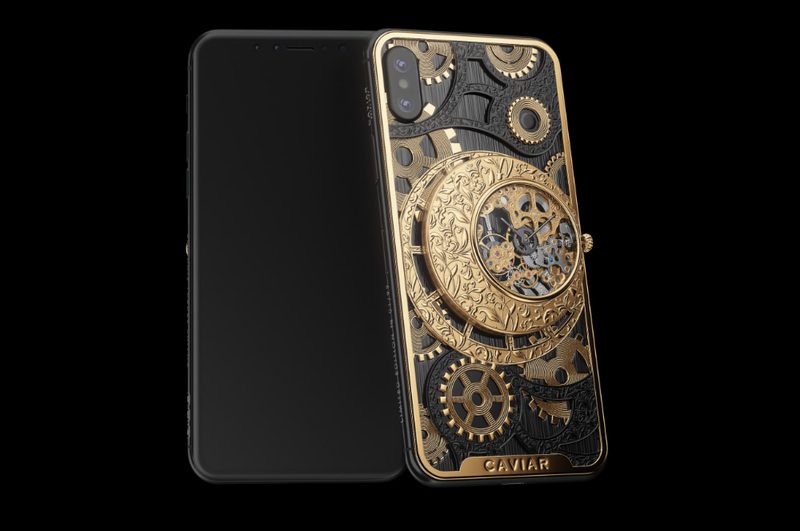 It’s also 200m water resistant and a low temperature resistant LCD up to -20 C / -4 F which is cool if you’re traveling to a cold country. Normal LCDs will encounter slow motion or slowing down of the time when in extremely cold weathers. It also has a tide graph and moon data useful for surfers or if you happen to be stranded in choppy sea waters. There’s also Auto EL backlight with Afterglow useful in the dark. 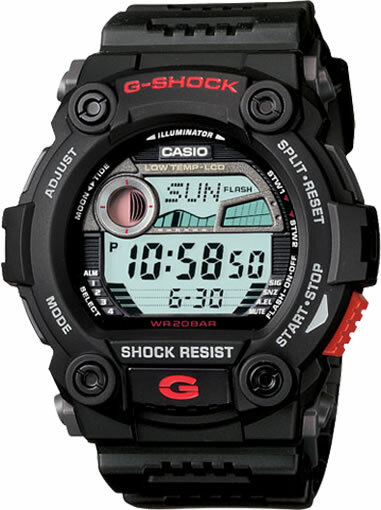 It has all the other typical G-Shock features like world time, countdown timer, alarm etc. This tough G7900-1 comes in a very reasonable retail price of $99 but you can get it for around $89 at Amazon. 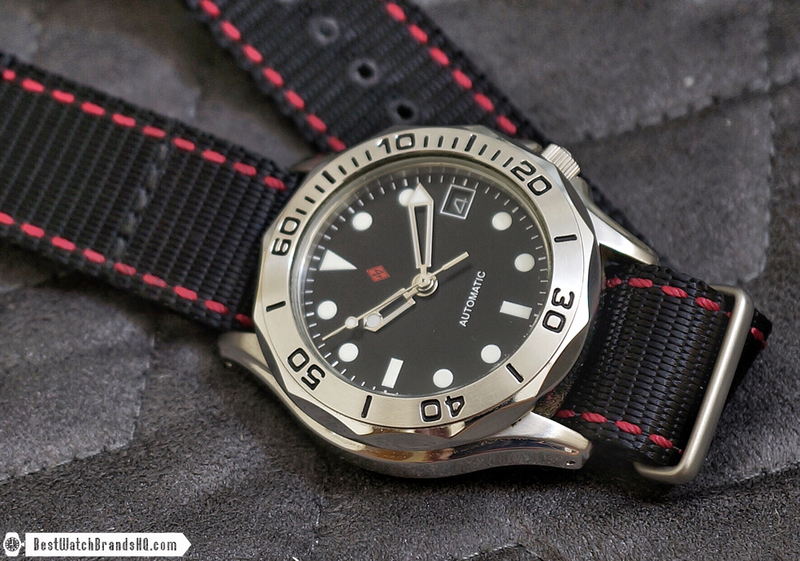 Check out the wrist shots in the trailer and also a review of the watch. I have the g7900-1 gshock and the other Gshock in the movie. The beige gshock ga100sd -3 gshock and 3 different gshocks. I have the g7900-1 gshock and the other Gshock in the movie. The beige gshock ga100sd -3 gshock and 3 different gshocks. I have a total of 31 gshock watches and 4 Protreks.